It’s the shortest piece of writing I’ve ever been recognized for, and I’m both surprised and honored. 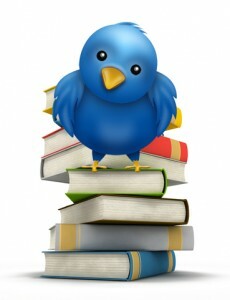 A website called Distance-Education.Org has named the top 50 tweets in education, and one of my tweets is on the list. See the full list here. Others who made the list include Bill Cosby, whose passion for education is well known; Mashable.com, which published an article about free social media tools for teachers; Merriam Webster, word lover extraordinaire; and Time magazine, which tweeted a message about astronauts voting from space. This is great company for a humble blogger in Phoenix. In case you’re wondering, the tweet I was cited for was this one – In defense of a liberal arts education: http://su.pr/1mo3Qg If you didn’t read the blog entry the first time, please do so now. As always, thanks for stopping by. This entry was posted in Communications, Society and tagged distance education, education, top 50 education tweets, Twitter. Bookmark the permalink.